Only 7 minutes for downtown Blue Ridge, GA, experience amazing mountain views. Only 7 Minutes From Downtown Blue Ridge! We throughly enjoyed our stay at this cabin. Secluded enough. Hosts had the hot tub clean and running for our stay. Plenty of dishes and towels. Fireplace was great and easy to use. Beautiful views. The grill could use a light over it, but hosts provided flashlights with all the grilling utensils. I highly recommend this company for all cabin rentals. Their fees are very reasonable. We had plenty of towels, dishes, blankets, pillows, and places to sit with an awesome view. We loved staying at the tranquility cabin! We really enjoyed the view & setting of the cabin. It was my 62nd birthday, and the best one so far! Getting married in October, plan on being back here soon. Thank you so much! We had a great time here at the cabin. This stay allowed us to reset, unwind and prioritize our goals and life by enjoying an amazing cabin. It's secluded, beautiful and we took in the amazing view of the mountains. Thank you! We loved our short stay here at Tranquility and hope it is available on another time we plan to visit. Love the cabin, the wooded area was the best. Like I was living off the grid. Everything was great, very "user" friendly and smooth. Very clean and awesome trip in general. We had a wonderful stay & relaxing weekend. Very quiet & peaceful. The cabin is cozy & comfortable, the weather is amazing! We definitely want to come back again! great cabin very private with a great view sunrise and sunset are the best. Always pleased working with the mlc team...great experience for the last 8+ years. .thanks. 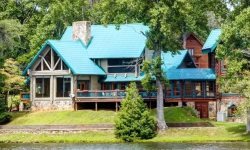 Would highly recommend the mlcr properties for your North Georgia mountain travel needs. .. The cabin was very clean. It was so quiet and peaceful. Beautiful views. We hope to rent the tranquility cabin again. We only talked to the staff once and they were very pleasant. We had a great, enjoyable stay and have no complaints. We loved the cabin and how it was decorated and furnished besides a wonderful layout. I came by the office to get more towels and had a enjoyed talking to the lady at the front desk. She gave me a good tip on the Amicalola Falls. They were beautiful! Thanks.